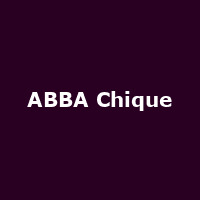 "The music of ABBA has stood the test of time. Magnificent melodies and hooks that have you singing along every time you hear them. When you get a band full of musicians as talented as this playing those songs you know its going to be a superb night's entertainment listening & dancing along to Waterloo, Money, Money, Money, Mama Mia, Name of The Game, Winner Takes It All, Fernando, Dancing Queen and yes...you guessed it...lots more"